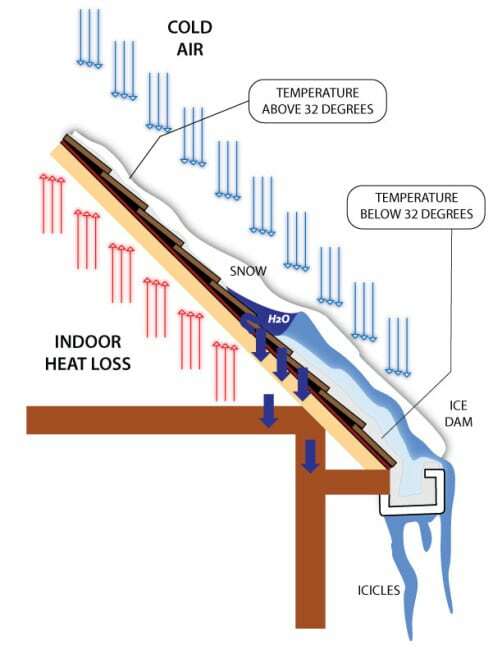 Ice Protection Systems and how they Benefit your homes. As winter months are approaching us everyone is busy cleaning their yards and getting ready to settle in for the season. 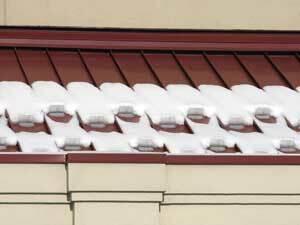 Soon snow and ice will be present on every roof as well as in your gutter systems. Everyone can prevent damage to their gutter system by taking the time to properly prepare their custom homes in Woodbury MN for winter. Cleaning the gutters out before freezing temperatures arise will help to prevent your system from failing this winter. 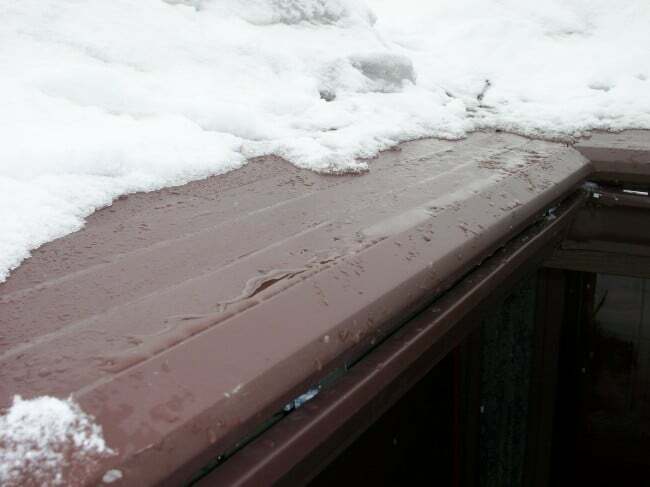 As gutter systems are great for keeping the water away from your foundation in the warmer months, they can’t control the temperatures and as the water starts to freeze into your gutter system it would be best if they were properly cleaned to prevent any ice dams or clogs. 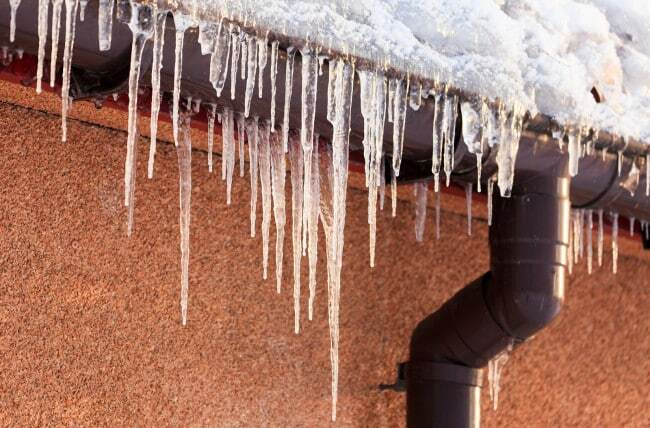 Assuring your gutters are cleaned and re-sealed before winter can benefit the system from creating bigger problems as large icicles, ice dams, cracking seals and expanding and contracting with the cooler temperatures. As most homeowners would not like to worry about any issues this winter it may be a good thing to have your local contractor look over the system to make sure all brackets are secure, down spouts are cleared away for any obstructions, and to assure the gutter system is slopping correctly for water to properly drain. 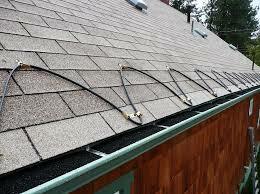 There are also many systems t hat can help keep your roof and gutters cleared from ice and snow dams. 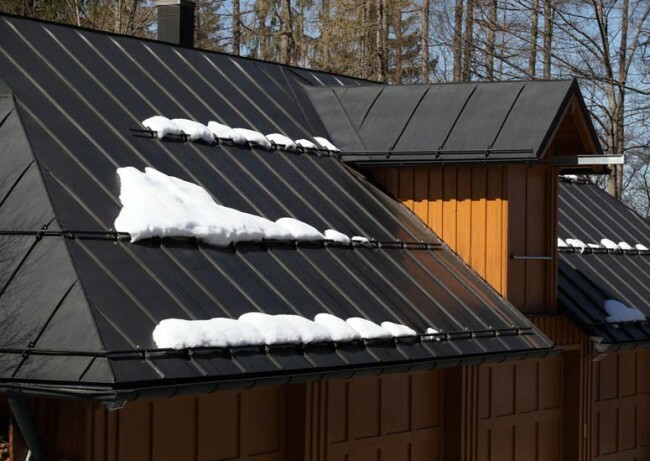 Such as Heat Trace Cables, Snow Bars for metal roofs as well as Snow Blocks. These are all products that can be added as an addition to your current gutter system. Many heat trace systems can also come with a built in thermostat that can be controlled to turn on at freezing temperatures. This system can vary in pricing and styles but also very beneficial during winter months. If you have questions or concerns about your cur rent gutter system please call Bruce Andrews Seamless Gutters and we can send someone out for a free assessment. Bruce Andrews Seamless Gutters, LLC offers gutter protection, gutter guards, seamless gutters, and started his business on principles of quality, integrity, and the pride of knowing that he provides his customers with the best gutter drainage system available. We offer the best gutter guard system on the market to our customers. 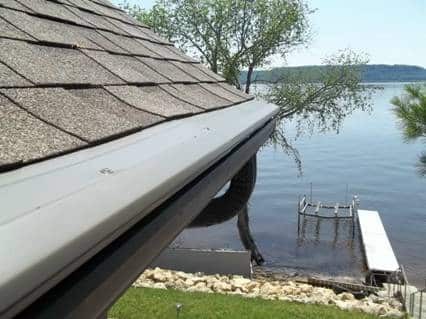 Seamless Gutters Are essential in Prescott WI, for routing roof runoff away from your home. 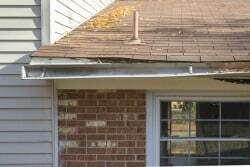 With the heavy rainfall in spring and summer in this area it is a must to keep Seamless Gutters on your home. Installed properly, gutters keep basements and crawl spaces dry, preserve topsoil, protect siding from backslash stain and rot and shield windows and doors from water infiltration and damage. 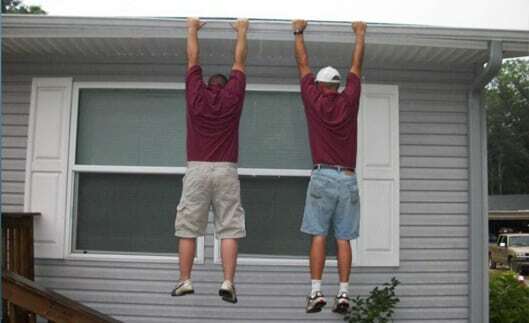 Seamless gutters can be crafted and made on site at your home in Prescott WI! 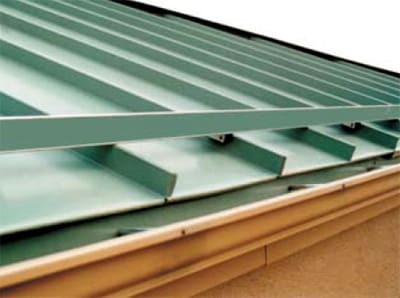 Most of the gutters that we carry are made out of aluminum, vinyl, galvanized steel, stainless steel and copper. 1-Gallon of Water Weighs 8.3 Ibs. 6″ Gutters – .92 gal. per ft. = 7.6 lbs. per running ft. of gutter. Product Testing Inc. performed an independent test of the SnapLock Gutter System® and found that the load capacity when using the SnapLock Gutter System® was 11.3 times or 1130% greater than that of 5″ gutters at full capacity and 7.6 times or 760% greater than that of 6″ gutters at full capacity. These tests prove that the SnapLock system will not only handle the weight of a gutter full of water, but it can also take on heavy gutter loads caused by ice and snow. System dramatically outlasts traditional rain gutters while protecting your home against the hazards associated with bacterial mold and fungus. 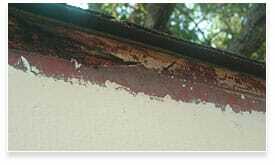 Don’t Let your Gutters turn out like this! Let them stay looking like this! 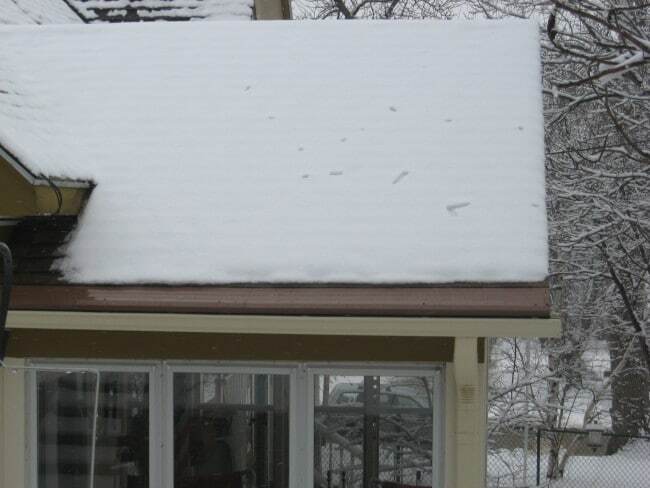 Installations of Gutter covers in St. Paul Mn year round. We offer the best gutter guard system on the market to our customers. 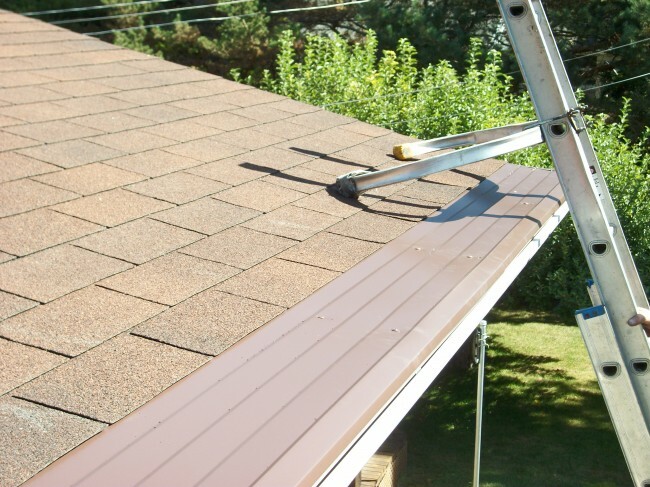 His crew of professional seamless gutter installers has helped many homeowners and businesses enjoy hassle-free, maintenance-free, and worry-free seamless gutter and gutter cover systems for St. Paul, MN Minneapolis MN and the surrounding areas, also including Southeastern Minnesota and Western Wisconsin. 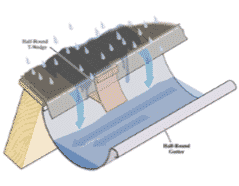 Gutter covers and Gutter Protection comes in many types and different styles, Covers, helmets, screen protection. 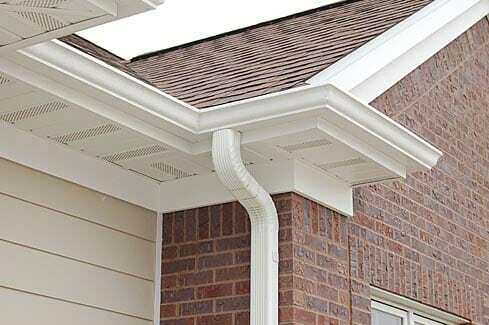 How can you tell what gutter protection is the best for you and your home. 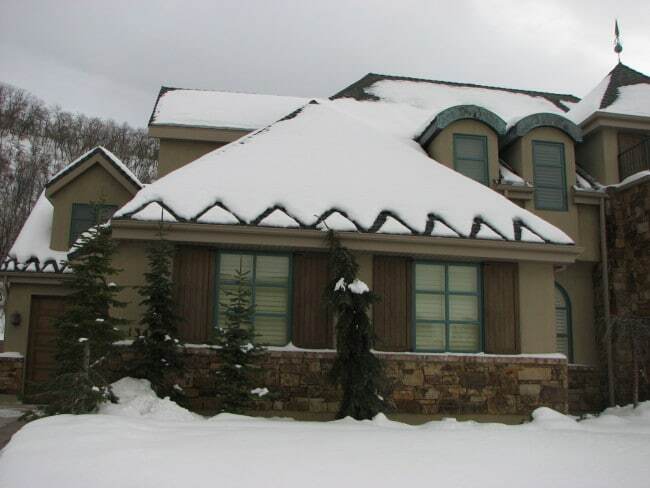 Durability—- Make sure the gutter covers or gutter protection system are built with long lasting material strong enough to hold up to ice and Snow slide. Brackets— All Gutter cover and protection systems brackets should be strong enough to hold the weight of heavy snow, ice and rain through the years. Installation– Make sure the crews that you hire are fully licensed and trained professionals so the job is done right, and the gutter covers are installed correctly.